Go to our audio page to listen to lots of our MP3s! Bluegrass Fever for the best in bluegrass music. We are very pleased to announce that we continue to remain very popular on Jango Radio, and our fan club has officially grown to more than 2,000 people. Thanks very much to all our fans, everywhere. Bluegrass Fever has developed a solid reputation as one of the most crowd-pleasing bluegrass bands. 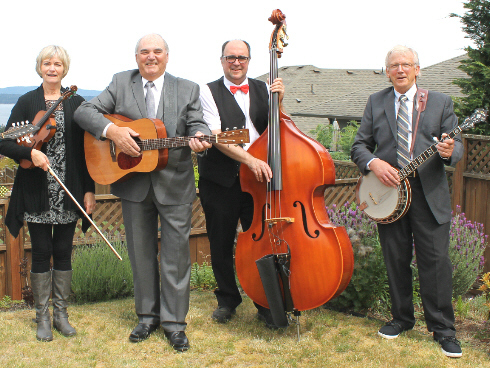 Banjo player Barrie Hemmings was a member of the original Bluegrass Fever band in Ontario in the nineteen-eighties, and re-formed the band on Vancouver Island a number of years ago.